Introduce yourself to FOREO’s innovative oral-care line with the FOREO ISSA Play Toothbrush; a revolutionary toothbrush that encourages healthy teeth and gums, whilst adding a playful pop of colour to the bathroom. The ISSA Play utilises the same intelligent technology as the previous ISSA toothbrushes, yet arrives as a battery-powered model. 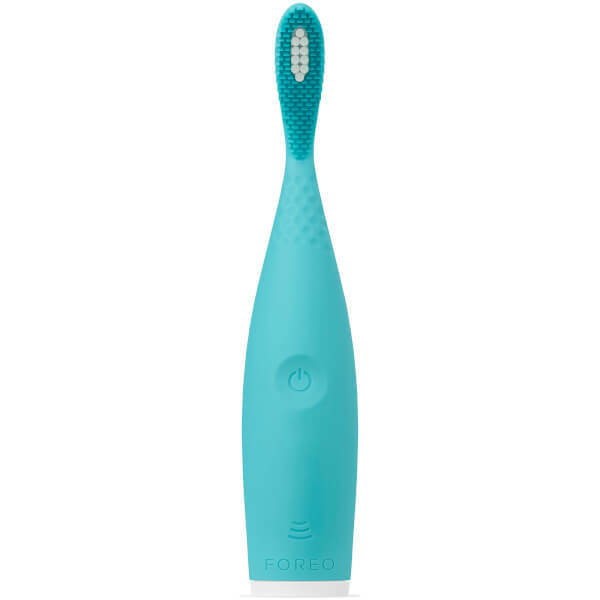 The toothbrush combines sonic pulse technology with a unique, hybrid brush head, which is effective in eliminating plaque, preventing cavities and discouraging tartar build-up. Delivering 9000 high-intensity pulsations per minute, the toothbrush thoroughly cleans and visibly whitens teeth, whilst comfortably massaging gums to promote strong and healthy results. The ISSA toothbrushes are safe and ultra-hygienic as they harbour considerably less bacteria than regular nylon brushes. The ISSA Play boasts a hybrid brush head, which is crafted using antibacterial silicone bristles to the outer and PBT polymer bristles to the centre. 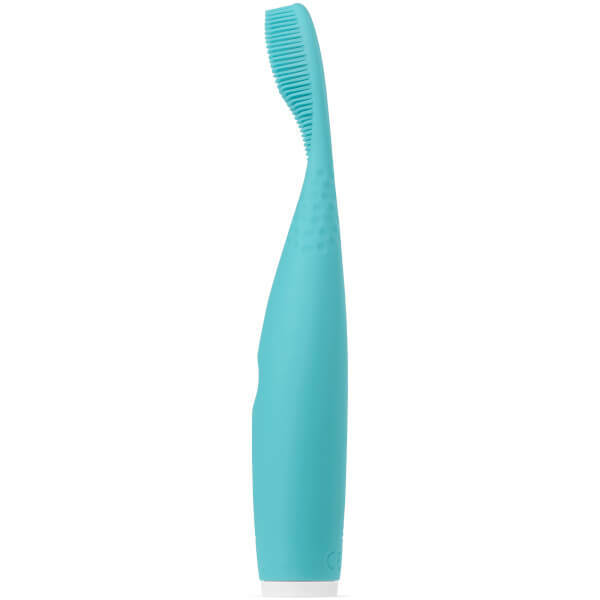 The silicone bristles gently massage gums to prevent damage, whilst the polymer ones provide a more vigorous clean. Easy-to-use, the ergonomic toothbrush is ideal for daily use and the lightweight design ensures it is travel friendly. The Swedish-designed brush is completely waterproof, which allows for easy cleaning and even in-shower use, which is ideal for those with busy lifestyles. Cost-effective with no changeable brush heads, the ISSA Play is the perfect introduction into the ISSA range. Discover a new kind of clean. Apply Toothpaste - Use your regular toothpaste and turn on your ISSA™ play by pressing the centre button. Brush - Brush your teeth using wide circular motions for 2 minutes; 30 seconds in each quadrant of the mouth. Rinse - Turn off your device by pressing the same centre button. Rinse your mouth and your ISSA play with water. Repeat twice per day for a fresher, brighter smile! I was diagnosed with gingivitis, and my dentist recommended I use an electronic toothbrush. My wife saw this one so she bought it for me. I didn’t really know what to think of it, but I gave it a try. Now I’m very grateful to my wife for introducing this toothbrush to me. Brushing teeth is not a painful experience anymore, and the toothbrush gives a very good cleaning. The feeling after the brushing is just like after being to the hygienist. I’ve seen that Foreo has other models of toothbrushes with more modes of vibrations, so I think I’ll try one of them, too.